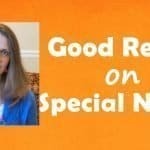 Finding out your child has special needs is overwhelming and sometimes shocking. In that moment, you want to do everything you can to help your child. You want to know exactly what to expect now and in the future. You want answers and support. What happens if there are no answers—only more questions? What if the doctors don’t know exactly what is causing your child’s problems or how to best help? How do you know how to help your child if even the experts can’t figure it out? How do you begin to cope after going to a myriad of doctors and still not being any closer to a diagnosis? This was our reality for many years. In some ways, it still is. We have finally learned what is causing some of our daughter’s challenges, but the causes of many of the others remain a mystery. I recall when our daughter was a few months old a friend called and told me she had just given birth to a baby with Down Syndrome. 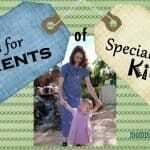 We became even closer friends as we each dealt with the challenges of having a child with special needs. However, my friend found some great support groups for parents of kids with Downs. I remember feeling jealous that I didn’t have that support from parents who were experiencing what I was. 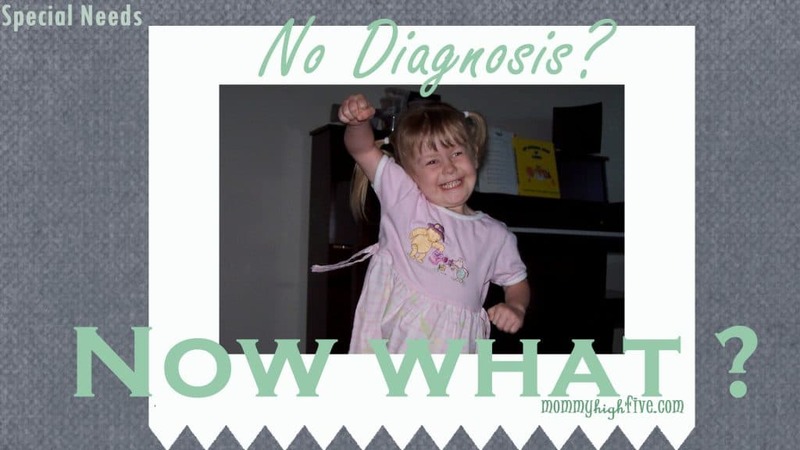 Over the years, however, I learned how to deal with the lack of diagnosis for our daughter. After throwing myself a few pity parties, I woke up and decided I was ready to be more positive about my situation. Maybe a lack of diagnosis wasn’t as bad as I had initially thought. In fact, maybe it could be good. Because the doctors didn’t know exactly what was contributing to the issues, that meant they couldn’t tell me what limitations our daughter might have. To me, this became a huge source of comfort and motivation. I remember talking with other parents who told me that because their child had a certain syndrome, he would never be able to function without significant help. Others told me their child would never speak intelligibly. I am one who believes people, especially children, are capable of much more than we give them credit for. I also believe that when we set expectations, people are motivated to do more. That is not to say that kids with special needs will be able to do everything their mainstream peers can do. Rather, I am suggesting that our children (those with special needs as well as typically functioning kids) will achieve more when we believe in them. I have seen too many kids give up because they were told they weren’t capable of doing things. I have to admit, I have had my doubts and concerns. I didn’t know if our daughter would ever learn to walk. However, at two and a half, she finally took her first steps. I reluctantly sent her to a special needs preschool, unsure if she would be able to learn to read. Again, she surprised me. Her first day of kindergarten was terrifying for me. I didn’t know how she would get around the big, crowded school without getting lost. Somehow, things all worked out. Now my “little girl” is in middle school, one of the scariest transitions in my mind, but again she is doing things I didn’t know if she would ever do. 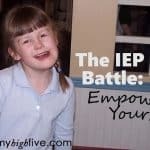 As time has passed, I have come to realize that I can relate to and support other parents even if their children don’t have the exact special needs my daughter has. In fact, some of my dearest friends are those who have reached out to me and admitted they don’t understand exactly what I am going through, but they want to be there for me. What peace and satisfaction I have found from these friendships. I have also come to love their children as well. It is about time for me to take our daughter back to the geneticist. I have to admit, though, that I am hesitant. What if he can tell us the cause of the rest of the challenges our daughter deals with? Do I really want a diagnosis? How will it change our lives? Will it just give an excuse for our daughter not to achieve her potential? I don’t have a good answer to any of these questions. All I know is that diagnosis or not, I love my child and want what is best for her. I think that the biggest thing I have learned through not having a diagnosis is that I believe in my daughter and I believe that I can be the parent she needs. I also believe that miracles can happen. As parents to special needs children, we can all attest that little miracles are happening with our children (and in turn with us) every day. Small changes have made a big difference for us. Check out our article on weighted blankets to see how this helped our child. As she got older we’ve been able to do amazing things like have her go to a special needs bike camp. I would love to hear your comments about dealing with a lack of diagnosis. Please use the comment section below.